Another must-see! Anybody uncertain about where to book their two week holiday should consider Egypt. See unrivalled history, meet some fantastic people, eat koshary (I hope) and enjoy stunning scenery. At a very good price! 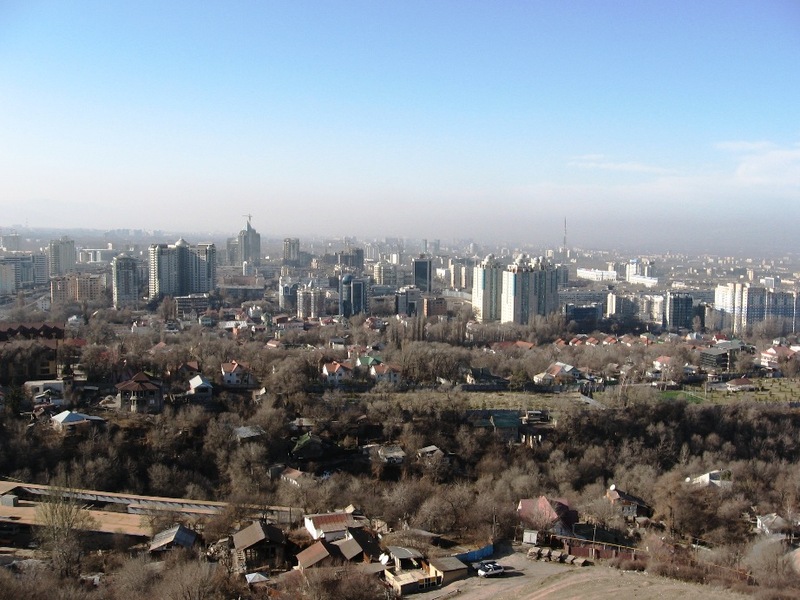 This is a reasonable summary of Almaty. You can easily see the village in the foreground, which is very similar to a lot of the settlements in the country as a whole. But you can also see a lot of evidence of the wave of modernisation that's going on here. OK, it's hardly Manhattan, but I think people should be proud of the progress they're making, provided of course it doesn't displace the villages completely. I wonder if they chose yurt to symbolise their opposition to the changes affecting Kyrgyzstan, or if they were purely functional, easy to erect and remove in a relatively short space of time. Whatever their reason, the presence of these traditional nomadic dwellings in a city square highlighted the interesting and in some ways sad contrast between a world clinging to its very existence, and a world which seems head bent on throwing it away. And we still haven't found the happy medium. My favourite building beset by a spate of unprecedented shyness. Normally a mist like this in Almaty or Cairo would have you holding your breath. But there's no pollution in this picture, or very very little anyway. I took this picture half asleep from a bus travelling from Fano to Arezzo in Tuscany and for a long while it was the wallpaper on my laptop. I'm no photographer, just a point and press guy, but I like this one. Nooruz again, New Year. 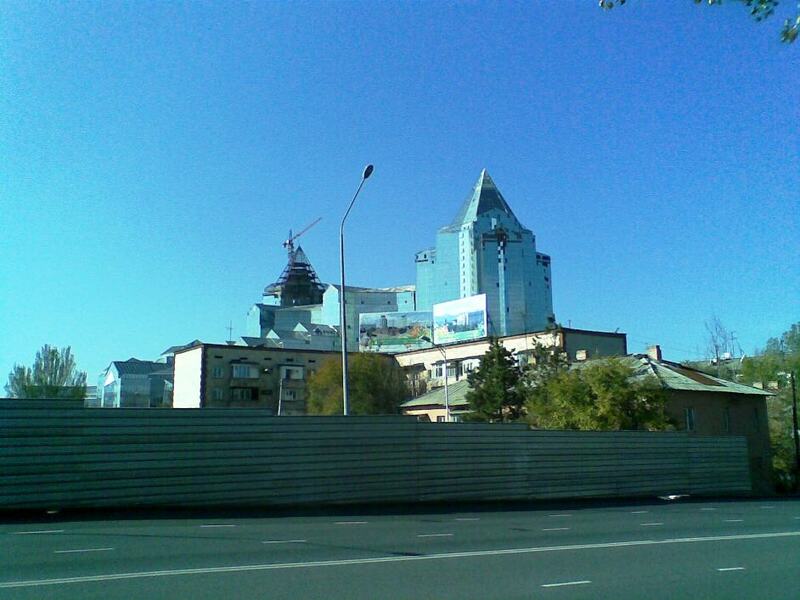 This is one of the buildings aligning Ala Too Square in Bishkek. It was raining, and it was a new camera. So a few photos I did not take, but this is in its own way iconic, and a powerful reminder of the colour of Central Asian life. While we shouldn't forget that many Egyptians work very hard yet stay hungry a lot of the time, the picture is not as bleak as the media may have you think. Cairo is a city of about 20 million people and few of them go completely without. 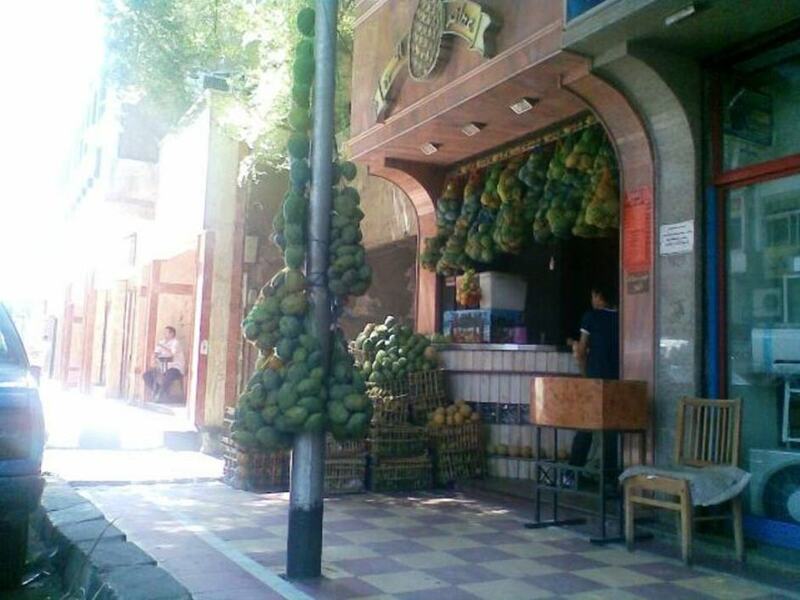 The abundance of fresh fruit generates the success of establishments such as this juice bar in Giza. I had my fill of mango juice there, but preferred carrot juice. In the end I bought my own juicer, and a regular stash of very big carrots. Urbino is a university town of about 60,000 people in the Le Marche region of Italy. It's not too far from San Marino. But it's a fantastic place, surely where I'd go to university if I were to follow such a route now. 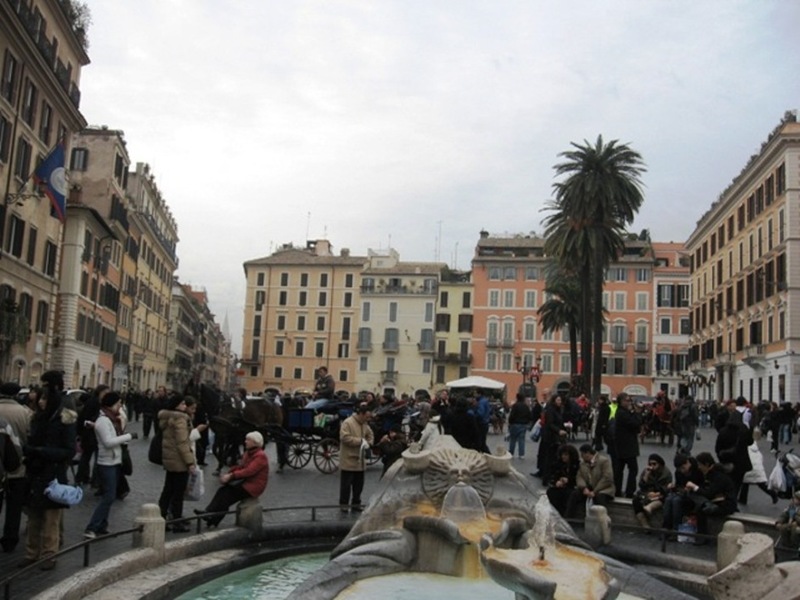 Magnet for tourists and locals alike, the Spanish Steps and Piazza Spagna as you see here and it's easy to see why. But for me it's not really Roma enough, it's just a tourist hot-spot, I prefer more traditional centres slightly off the beaten track. 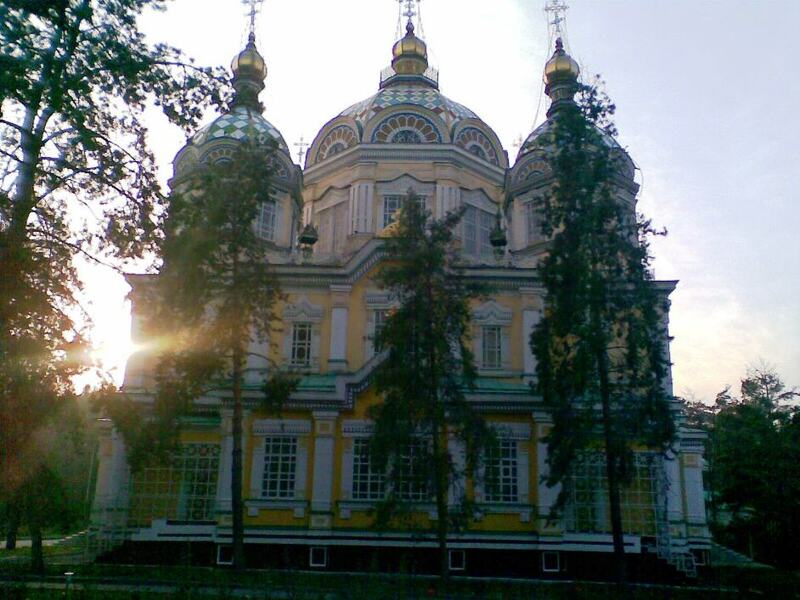 Wooden structure, the second highest of this category in the world, constructed without a single nail! There probably aren't too many nails in this place either. I think Almaty has more than moved on from its pre-1991 past. The city isn't New York, nor should it try to be, but the quality of development recently has demonstrated a commitment to achievement of its ambitions, and buildings like this are a reminder that the first world's borders are very much migratory. But the buildings in the foreground also remind us that identities don't change overnight. It's a long process, patience plays as much a part in progress as change itself (says the guy who is determined to learn Kazakh in a matter of weeks).